My card design was inspired by My Favorite Things Wednesday Sketch Challenge 277. 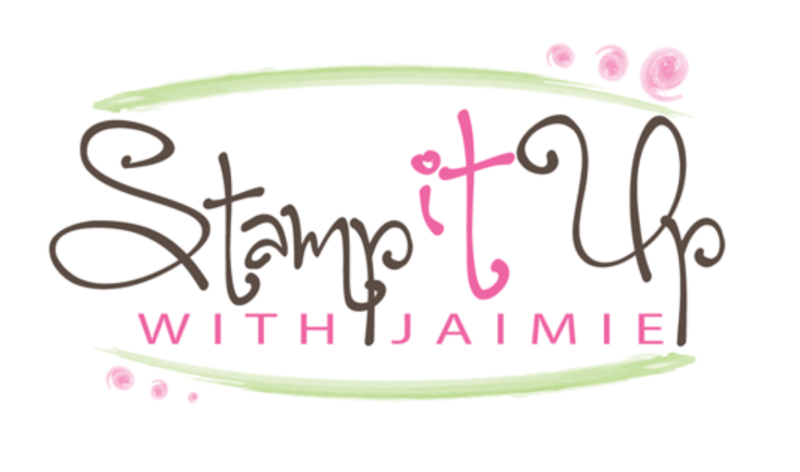 I started by stamping the sentiment from the Birthday Blooms stamp set in VersaMark Ink on a panel of Crumb Cake card stock. 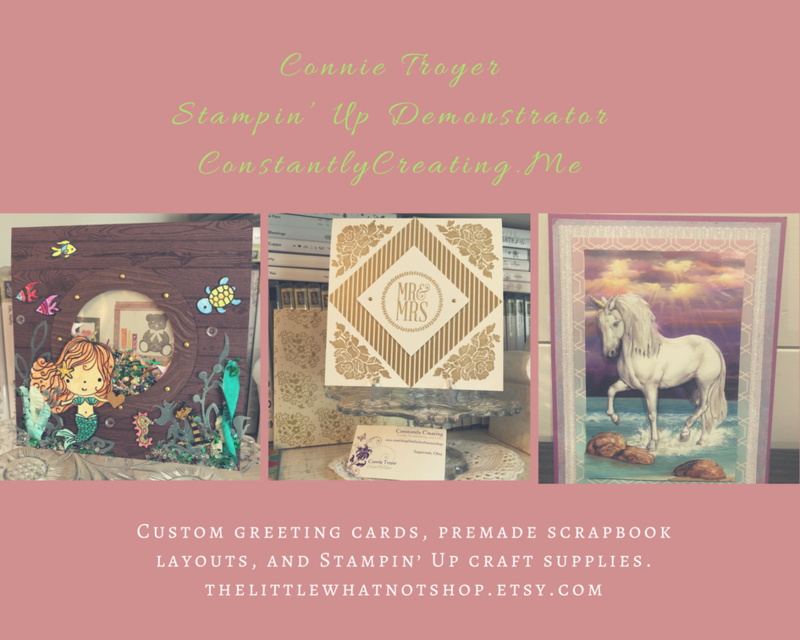 I sprinkled the image with Copper Stampin’ Emboss Powder (available June 1) and heat embossed it, then adhered the stamped panel to a panel of Cucumber Crush card stock with SNAIL. I adhered a strip of DSP from the Affectionately Yours Specialty DSP (available June 1) to the Crumb Cake panel with SNAIL, then wrapped a strand of Linen Thread around the panel twice and tied a bow. I adhered the layered panel to a Daffodil Delight card base with Stampin’ Dimensionals. I cut the leaves and flower pieces from Cucumber Crush, Daffodil Delight and Peekaboo Peach (available June 1) card stocks and I sponged the centers of the flowers with Peekaboo Peach ink (available June 1). I adhered the flowers together with Mulitpurpose Liquid Glue and to the card front with Glue Dots. I added a Rhinestone Basic Jewel to the center of each flower to finish the card front. I stamped the images from the Botanical Blooms photopolymer stamp set in Daffodil Delight, Peekaboo Peach and Cucumber Crush inks on a panel of Whisper White card stock inside the card. This entry was posted in For a Friend, For You, Quick and tagged Alpharetta, Alpharetta ga, Amy Koenders, Atlanta, Atlanta GA, Birthday Blooms, Botanical Blooms, card making, card making supplies, CAS, Demonstrator, Duluth GA, Georgia, hand made card, Johns Creek, johns creek ga, stamp with amy, stamp with amy k, Stampin Up, stampin up atlanta, stampin up blog, stampin' up amy, stampin' up demonstrator. Bookmark the permalink. These bright flowers are just what I needed to see on this gloomy drizzly morning! Love the copper and the peach! Amy this a a gorgeous card! Love the color combo. Thank you for all your beautiful ideas and the sky is the limit. Cannot wait to be able to order more goodies from you. Love your card, Amy! The DSP and Peekaboo peach are amazing!!! And I dug around in my stamp attic, and sure enough,f ound my old SU! copper embossing powder. I thought that looked familiar. I always loved it so I kept (aka hoarded) it. Glad it’s back!! I’m running behind after a busy day but always find time to check your blog and see what pretties you shared–and sure am glad I did! I LOVE this card. The colors are fabulous! Great take, as always, on the sketch and striking card. TFS!